The DuBois Workbench Caster 4-pack Set is the perfect solution for easily positioning your heavy workbench to any desired area in your shop. Simply push down on the foot pedals to elevate your workbench off the floor (3/4-Inch), move to preferred location, then lift up foot pedal to lower table firmly back onto the floor. 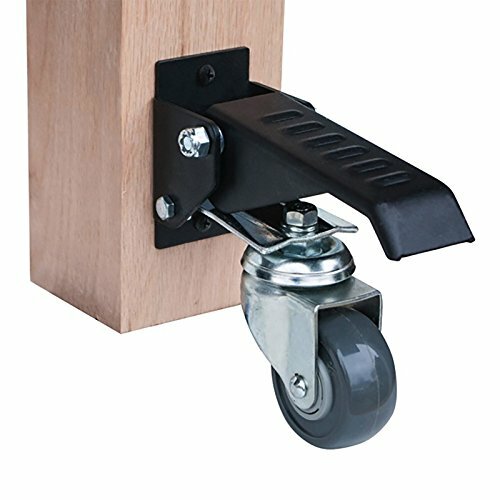 Each 2-3/8-Inch urethane caster can support 100 lbs. (400 lbs. combined capacity). Experience ease of movement with caster’s 360 degree pivoting action. All mounting hardware included.